Blue butterfly and leaves painted specially for my sister. Practicing negative painting. Winsor&Newton watercolors, Canson paper. This entry was posted in Watercolors and tagged blue, butterfly, flowers, watercolor, Winsor&Newton on 2015-08-05 by . Blue door. 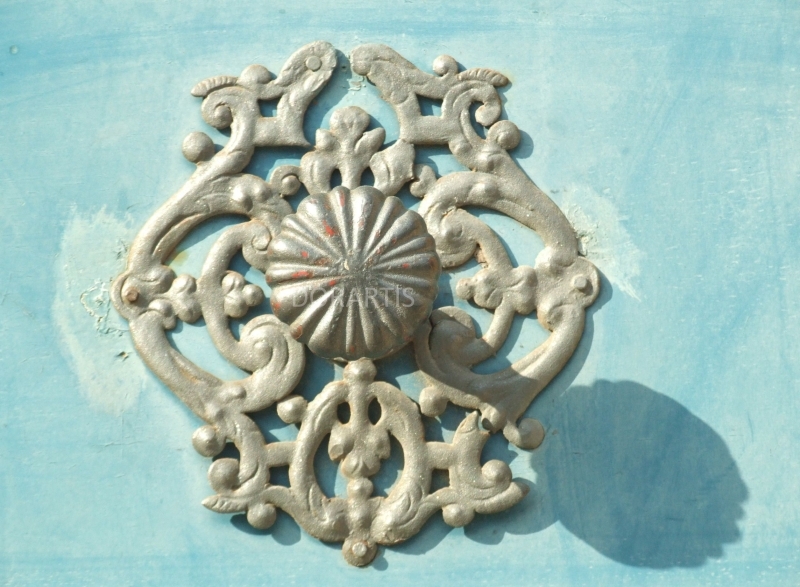 Blue and gold – beautiful combination. 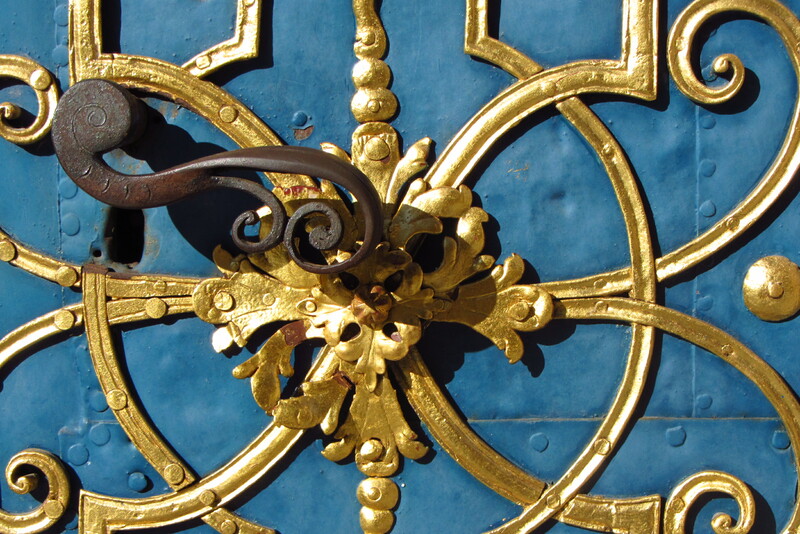 This entry was posted in Wrocław in detail and tagged blue, door, photo, Wrocław on 2015-06-29 by . 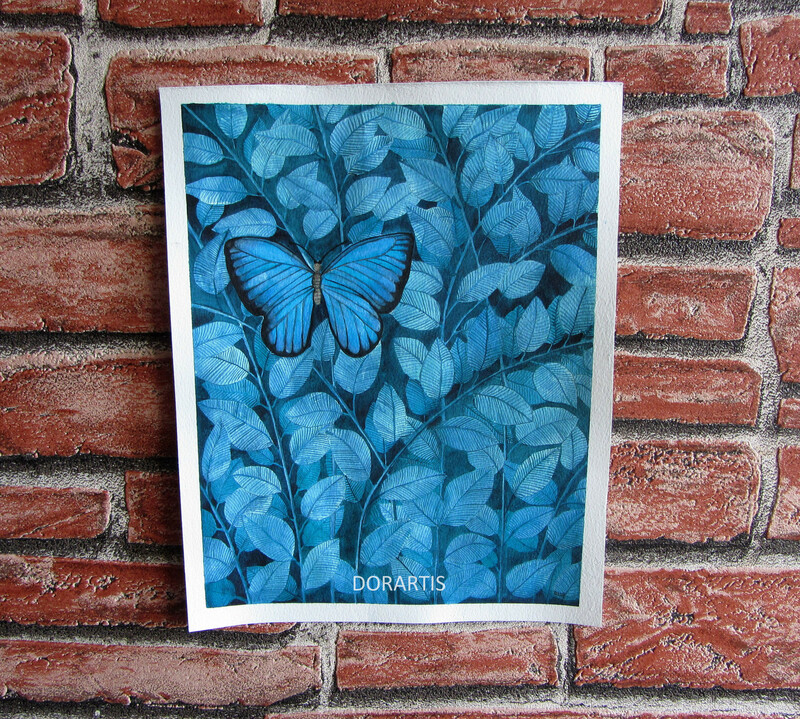 Blue butterfly. I’ve painted the most beautiful butterfly I saw in Wrocław Zoo. Winsor&Newton watercolors, Fabriano paper. 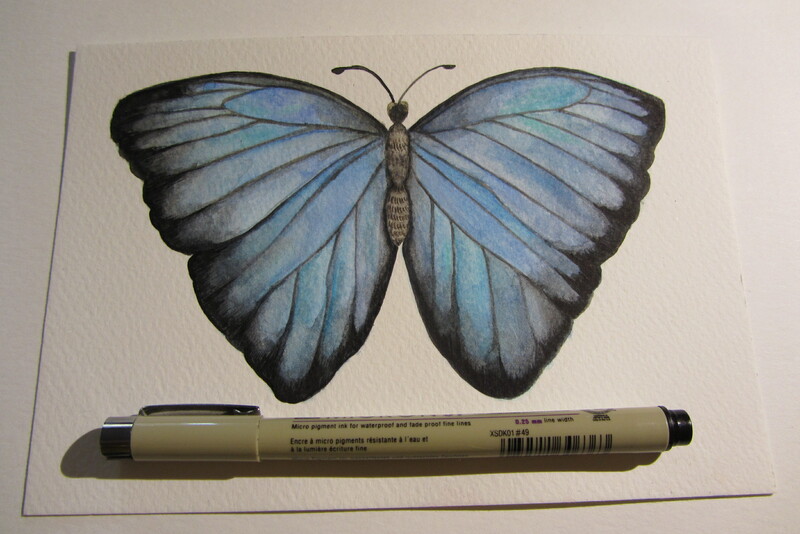 This entry was posted in Watercolors and tagged blue, butterfly, watercolor, Winsor&Newton on 2015-05-21 by .